They are countering campaigns popularly known as ‘Happy to Bleed’ and ‘Right to Pray’” who are already arguing in the SC for complete lifting of restrictions vis-avis entry of women. #ReadyToWait campaigners say they want to preserve traditional customs. 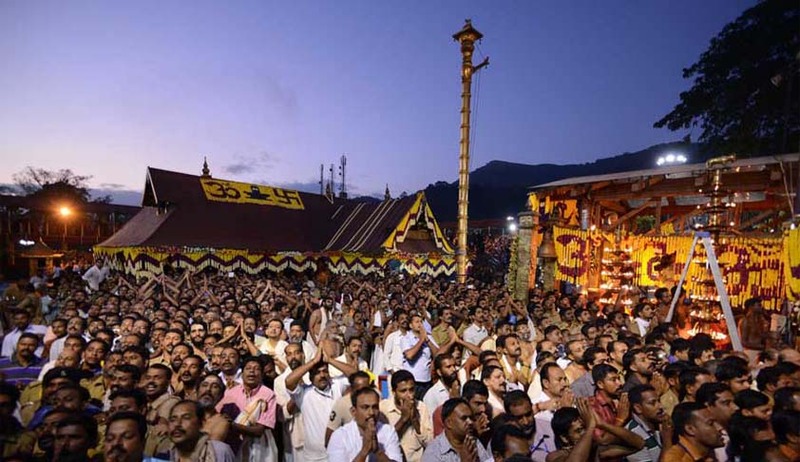 A group of women devotees of Lord Ayyappa under the banner of ‘People for Dharma’ have moved the Supreme Court seeking intervention in the Sabarimala case saying they are not against the traditional customs and restrictions and are ready to wait till the age when they are allowed to enter the temple that is at the age of 50. “That the intervenor organization named ‘People for Dharma’ with thousands of members and followers have started a campaign popularly known as ‘Ready to Wait’. The said campaign started by the intervenor organization was to counter campaigns popularly known as ‘Right to Bleed’ and ‘Right to Pray’. That the intervenor organization is making this application seeking indulgence of this Hon’ble Court for permitting them to intervene in the above matter which involves questions that may seriously affect the sentiments and belief system practiced and preached by the Intervenor organization and by its followers”, it says. The temple entry case is likely to come up for hearing before a three-judge Bench led by Dipak Misra as soon as the court re-opens on November 7. “Some temples like Kamakhya temple in Assam and the Devi temple in Kerala’s Chenganoor even celebrate the menstrual phase of women. This alone is enough to expose the hollowness of the claim that Sanatana Dharma discriminates menstruating women,” the application said. Read the intervention application here.